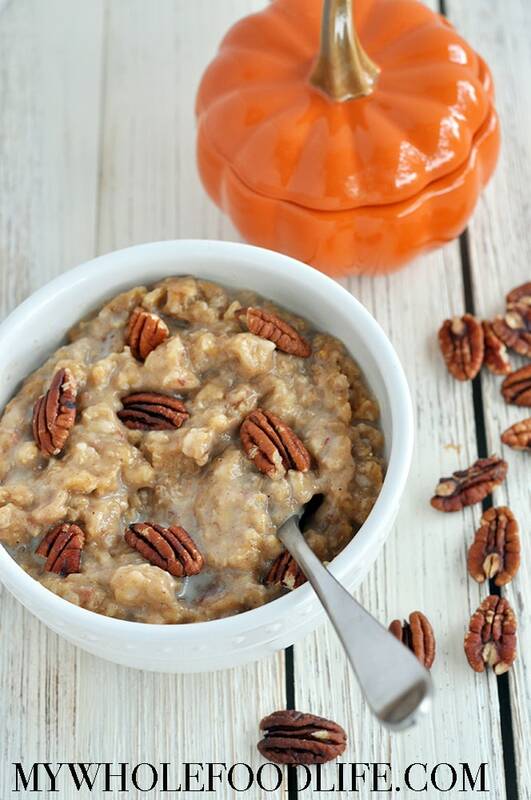 Slow Cooker Pumpkin Caramel Oatmeal. It’s been raining here for days, so a warm recipe like this pumpkin oatmeal was in order. Not only is this healthy and comforting, it will also make your house smell amazing! This recipe is super easy to make and very budget friendly too! The caramel flavor comes from the date paste. There is no added sugar in this recipe. You can always add some maple syrup if you like. This recipe can be made with water or almond milk. Whichever you prefer. I used water when I made it. Some delicious additions would be pecans, cranberries, pepitas, or even chocolate chips! This recipe is made vegan and gluten free. If you want to make it nut free, just use water for the oatmeal and skip the added pecans. ? Want to make this recipe" Watch the video below. For more videos, you can subscribe to my You Tube channel. The post Slow Cooker Pumpkin Caramel Oatmeal (Vegan) appeared first on My Whole Food Life.